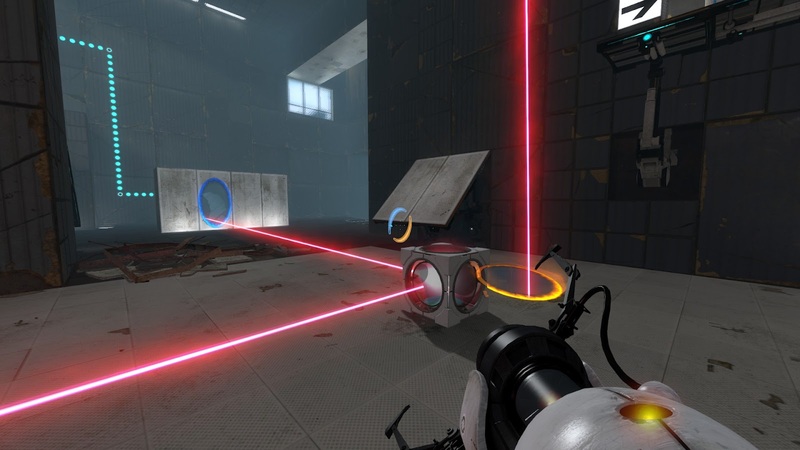 A surprising addition to the Valve’s 2007 Orange Box was Portal which charmed us with a dark sense of humour and brain-bending puzzles to become a classic game. Portal was short but unlike anything that has ever come before it. The game cleverly took the relatively simple mechanic of portals and pushed itself into the stratosphere of puzzle gaming. It also introduced us to the deranged, but still lovable, Glados, the quiet weighted companion cube and delicious, moist cake (and the meme that will never go away). With such expectations, I had doubts that Valve could repeat the success of the original, as there was seemingly no clear direction the series could go. I now understand how stupid it was to ever believe this. 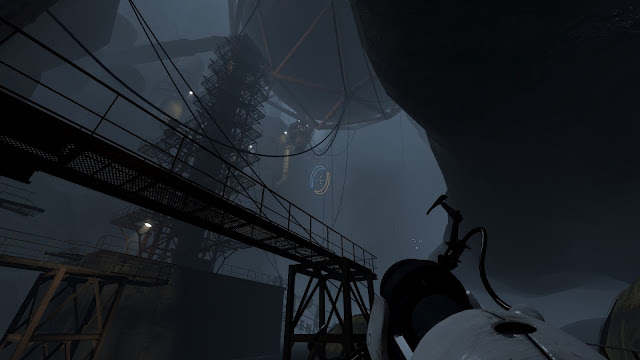 Portal 2 has not just lived up to its predecessor - it has risen above it into outer space as one of the best games of 2011. While reuniting with your "old friend" Glados, she informs you that “it’s been a long time” and... she's not kidding. 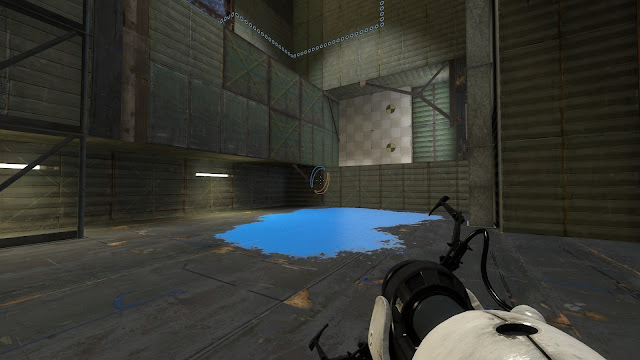 The Aperture Science Facility clearly needs a bit of maintenance since you were last there. Being left in a state of ruin, the locale has changed drastically enough so that re-visiting this universe feels unlike a retread of Portal. The once pristine and sterile testing chambers are now hosting a lot of greenery and nature’s other elements. Further down, entire sections have crumbled and fallen, making the already labyrinth-like facility even more difficult to get around - but it’s the new undiscovered areas that are really great to explore and also serve as a time-capsule of Aperture’s history. This will come as a great delight to fans who really want to study everything about the Portal universe, right down to the office’s bulletin boards. 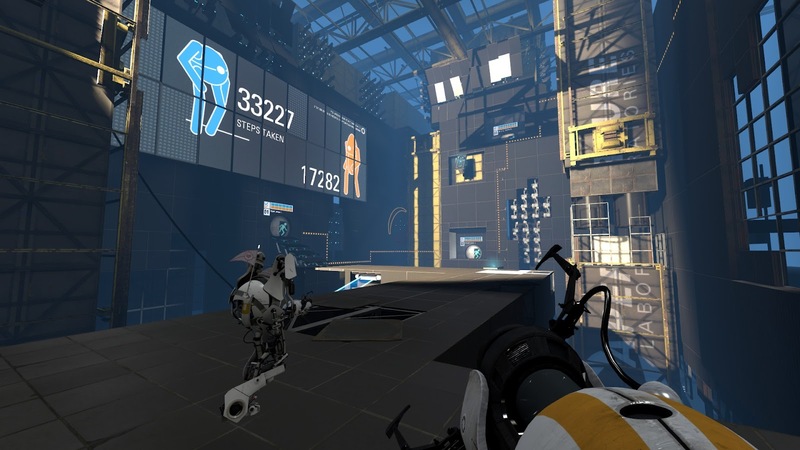 The story of Portal 2 is where this game really shines so to spoil anything would take away some of its lustre. What I can tell you is that you will definitely be laughing due to the new addition of Wheatley - the quintessential comic-relief - with his nervous, barmy ramblings. Voiced by Stephen Merchant, with his unadulterated British accent, it is quite an odd choice for playing a personality orb - but he surprisingly adds much character to the game. J. K. Simmons is also among the new cast as Aperture Science’s founder and CEO Cave Johnson, a no-nonsense, enterprising tycoon. Although he does a very funny and entertaining performance, it’s disappointing that by the end of the game you’re left wanting more of him. And the Portal series wouldn’t be what it is without Glados, who is as vitriolic as ever. She hasn’t forgotten what you did to her, and with her sharp quips she’s not going to let you forget it any time soon. While all three are funny with their different styles of humour, they all provide pensive moments throughout the longer three-act campaign that really give the story some needed weight. You’ll be laughing from start to finish, but that doesn’t mean some moments won’t be emotional. The basic portal mechanics haven’t changed; fire two portals from your trusty portal gun and jump through one to come out of the other. What makes this a puzzle game is using this mechanic to get through a chamber or area that is devilishly designed to test your ingenuity. With this being a fully fledged sequel, the puzzles have been amped up significantly with the addition of more ‘testing conditions’. To name a few, they include: aerial faith plates, hard light bridges, thermal discouragement beams and, of course, the 'pièce de résistance' being the gels. To describe these gels as anything but inspired (maybe even divinely) is to underrate how they have added a whole new dimension to the already fine puzzle mechanics. One in particular is called the ‘propulsion gel’: when covered on any surface, it allows the player to bounce off it and is used in some of the most fun chambers. While ideas such as these are brilliant on their own, the real achievement by Valve here is the way they combine them all to test your lateral thinking. Portal’s level design was greatly focused on teaching the basic skills needed to complete each puzzle; the game never forced you into chamber that you were unprepared for. Although to be fair, the original was smaller in scope and had very little puzzle elements in comparison to this Triple-A title. And so despite introducing a large number of new gizmos to work with, you’ll never be overwhelmed thanks to a level design that has been refined into an art. In the same light, Portal 2 never handholds to make the solution obvious, meaning that to solve each puzzle you have to earn it. This can be done through some trial and error, giving you ample opportunity to experiment so you can get that eureka moment. The point is that the solution is not given on a silver platter, and it is satisfying that this perfect balance has been carried over from the original because, after solving each puzzle, I honestly felt smart - and so will you. This time around you can team up with a friend and tackle the new co-op campaign. Together, you play as P-body and Atlas, two very animated droids who are emotive, funny and - dare I say - cute. Now with four portals at yours and your companion’s disposal, the puzzles have shifted into high gear. They're more elaborate and inventive, meaning that you’re going to have to put your brains together to solve them. Make no mistake; teamwork is essential becuase one doing all the work won't get you anywhere. So to communicate with your partner, you’re given a nifty indicator menu which can be used to select and place down visual icons for your partner to see. They include icons that indicate where to look, where to place down a portal and a short countdown for when timing is necessary. Nothing, however, beats directly talking to your partner through online chat. Like the original Portal, the campaign is short but brilliant, and will surely keep you coming back with future DLC. This game is not a technical marvel by any stretch of the imagination. What do you expect with the game’s engine being Source, which is now seven years into its prime? Lucky for Valve they don’t have to render an enormous, finely detailed open-world but instead a smaller, linear game. Despite the graphical limitation, the visuals are still crisp and more than just pretty to look at. The game's art style, in fact, favours a quasi-plasticine texture rather than gritty photo-like realism in order to achieve a whimsical look which fits the game’s tone. 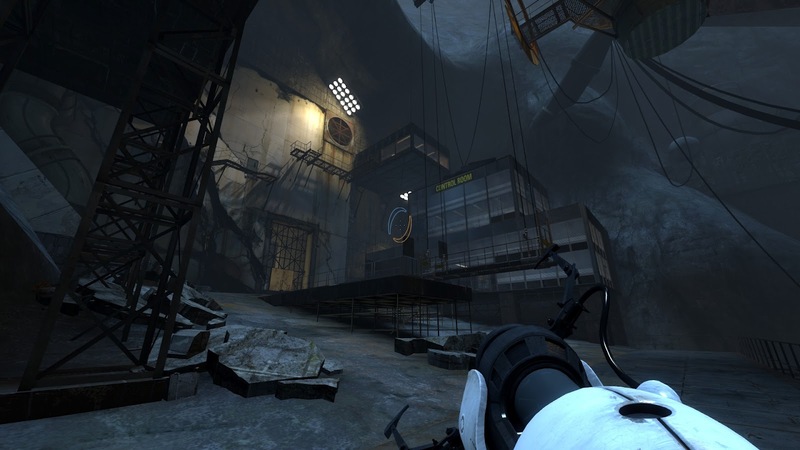 Portal 2 won’t stress your graphics card; it instead offers a rich, fleshed-out world. I would like to do more than just briefly mention that the music is stellar. 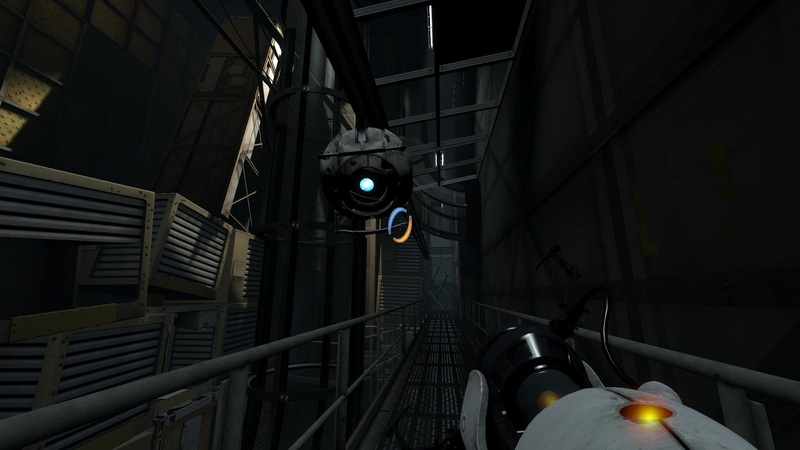 If the sci-fi genre could be in the medium of music, the score of Portal 2 would be it. The soundtrack’s synthesiser beat and electronic sound just on its own evokes science-fiction exploration and adventure. Throughout the campaign, it plays in the background at opportune times for a great effect that will often arrest you. More importantly, however, is how music is incorporated into the gameplay. Some puzzles, to be solved, require preparatory steps, like the setting up of a line of dominoes ready to be knocked down. While this is going on, the music builds as you progress, similar to how music was used in Shadow of the Colossus. Thus, by having this dynamic music, the buzz of setting everything in place swells until you’re finally up to the final step, and you trigger a chain reaction. Also, depending on what type of motion you are in, a specific tune is overlayed over the music stream for the added adrenaline rush. All games should use music like this in some form or another because this is what modern video games are all about; an interactive experience. Portal 2 is, for all intents and purposes, a perfect sequel, in that it delivers exactly what a sequel should. It’s not just a rehash of the original; it’s taken what Portal did so well, and improved upon it. The puzzles are more fun and elaborate, with many new elements that will test you. With this, the Portal universe has welcomed more charming personalities to make you laugh and really leave on impression on you. If you thought that this game was unnecessary, that it won’t offer anything like the original Portal did, think again. Hey! This review was wonderful! Nice; for your first time. You have a very similar style to Will, which is great. I love how you describe things; succinctly and with character. In fact, I absolutely love the way you use adjectives. Definitely wanted to keep reading. Only thing is how long your sentences are. Grammatically, try to break them down. At times it was hard to read because so many of the sentences were so long. Having short and long sentences throughout breaks it up and keeps your reader's attention. :) Also, be aware of comma use (I picked up on this in your first sentence) as commas are great for creating pauses and organising your sentence. Will tells me you are doing journalism now, obviously why you started the blog, and it is looking great so far! :) Overall the review rocked; just reading it made me want to play. You did your research and gave a great in-depth review of the game. I will definitely keep on reading them. Nice work! Thank you very much. I've taken your advice on board and for my next review I will focus more on sentence structure and length. You are welcome. :) I was concerned that my advice would be taken negatively - You don't know me, I am just Will's friend, and out of nowhere I judge your work. I am glad you responded positively. I go through Will's blog posts too for discrepancies. However, I know him well, and he asked for my advice. I gave it to you without asking your consent. Thank you :) Would you mind if I go through your next one? I have already subscribed to your blog. I enjoyed it very much.